Have we got the X banner? Oh, yes. 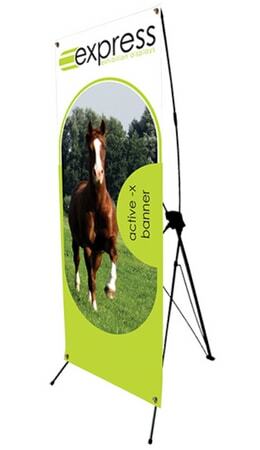 The Active X is a brilliant budget banner stand – at less than £50+VAT, you’ll be lucky to find better deals on the market. The display is ultra-lightweight, making it easy to carry. It also features an easy-change graphic, supported by an eyelet system. Highly portable and great for standard events, this is a great banner stand for the money. The Active X is an amazing £49.99+VAT, including printed graphic and carry bag.